PDG Kevin with PDG Pat Vannett as PID Bruce Schwartz presents her with a Melvin Jones Fellowship. This week, I am pleased to acknowledge and thank Past District Governors Kevin and Pat Vannett for taking the necessary steps to formally establish a national “Speak Up For Service Day” to recognize the importance of telling others about the need for young people to be actively involved in community service. Too often, good deeds of service by young people go unnoticed by their communities. This Speak Up For Service Day gives recognition to the unnoticed and serves as a reminder that people should tell others about the contributions of young people to their communities. Sponsored by the Lions of North Dakota, the Speak Up For Service public speaking contest has become an annual event held in conjunction with the North Dakota State Lions Convention. Other Lions Clubs and Districts throughout North America sponsor similar public speaking contests where young people share their insight on issues of the day and the contributions of Lions to making the world a better place. The history of the Speak Up For Service Project began in 2003 when the Fargo Lions Club initiated a public speaking contest for area high school students in honor of Laura Christensen Espejo, an woman who devoted her life to improving the health care services available to the less fortunate in the Fargo community and in Peru, the country of her husband Lucho. Several local speech coaches and I coordinated the local contests in Fargo before the idea was launched as a statewide initiative while I had the opportunity to serve as District 5NE Governor in 2010-2011. 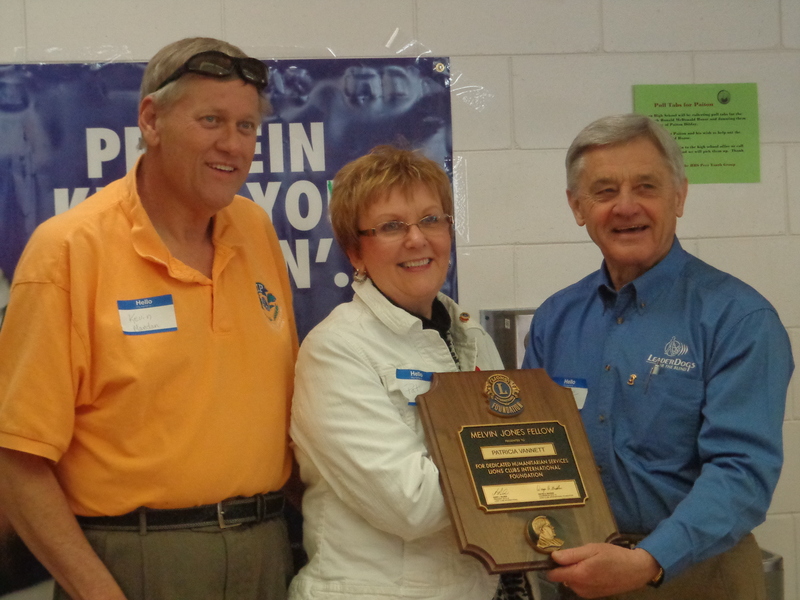 In October 2010, the first annual Lions Speak Up For Service public speaking contest was held at the North Dakota State Lions Convention held in Grand Forks. High school students who entered the competition spoke on topics related to young people and community service. Brent Johnson, a senior at Shanley High School was the first state winner of the Speak Up For Service contest. Johnson and the other contestants received scholarships for their participation in the event. 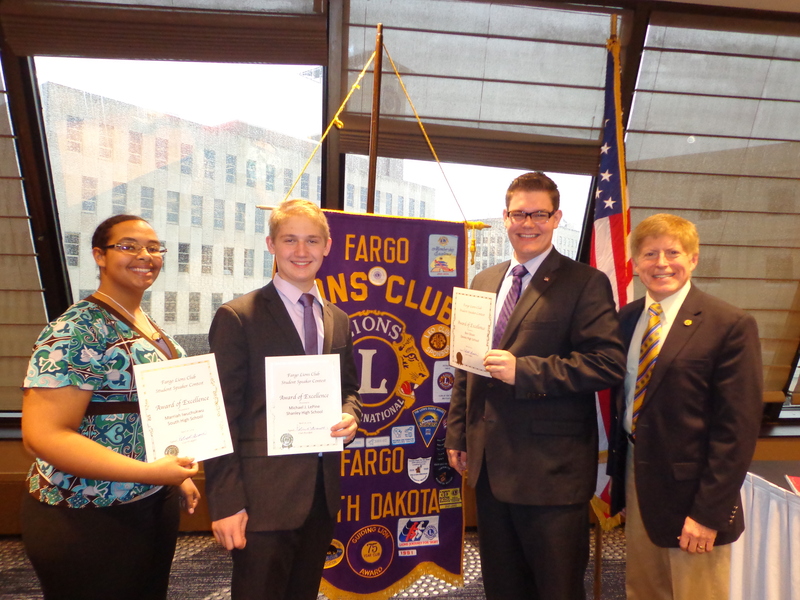 Local winners of the Fargo Lions “Speak Up for Service” contest in 2014. It is rewarding that others like Lions Pat and Kevin have recognized the value of this speaking experience and I applaud them for “speaking up” on behalf of this activity for youth!